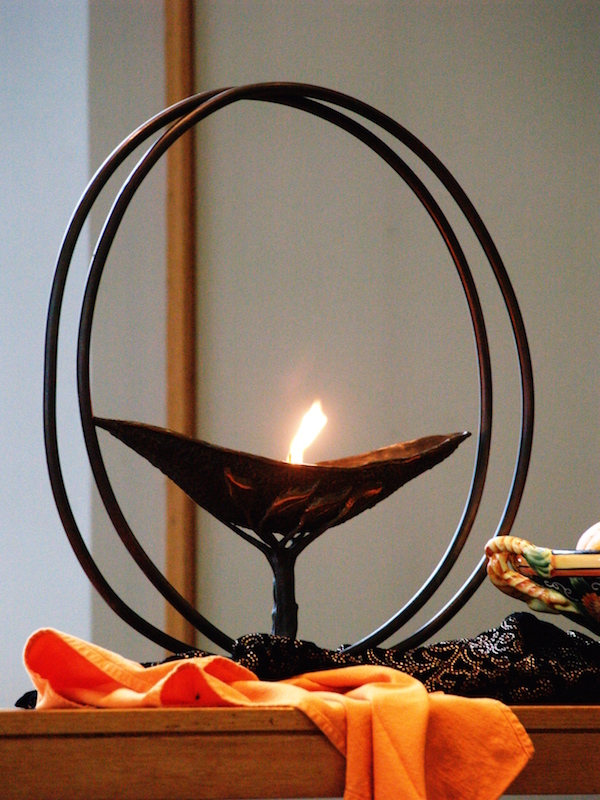 A traditional memorial service in the Unitarian Universalist tradition is an honoring and a celebration of the deceased person's life, as well as a chance to grieve his or her death. The minister spends time with the family before the service, and, based on their memories, offers a reflection or summary on the deceased person's life, commonly called a eulogy. Alternatively, another person might offer the eulogy. Family members or loved ones may also choose to offer short memories or reflections. During the service, we take time to ponder the mysteries of life and death. Our theology leaves open the answers to questions about what happens to us after we die. Therefore, we concentrate on reflections about the person's life here on earth, the lessons their life teaches, and the parts of them that we wish to always remember as we live the unknown number of days in our own lives. Music, poetry and prayer are common components of the service. Following our services, we generally have receptions in our social hall. There is no charge for the minister or for building use when the deceased, their spouse, or parent was or is an active member of the congregation. Our ministers are often available to officiate memorials for non-members. Please contact the congregation office to inquire as to their availability, and the fees for the minister and for renting the sanctuary and social hall. The frequency of "living memorial services" is increasing in the United States. These pre-death memorial services are for persons whose time is short and who both desire and are able to experience their eulogies, tributes, and farewells before death. Elements of these services can vary. Often they are somewhat similar to those of the traditional memorial service. Our ministers are available to help plan and officiate these services.